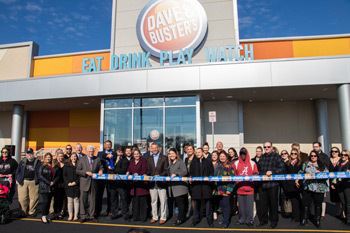 • On Monday, I spoke at and participated in the ribbon cutting for the new Dave & Buster’s at the Capital City Mall. This restaurant is very popular as a line had formed to enter after the ceremony. 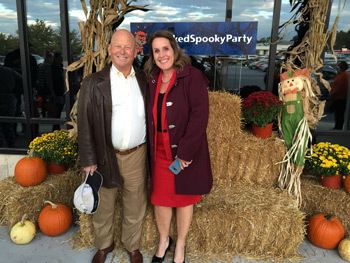 • I recently spoke at the 60th Pennsylvania State Tax Collectors’ convention. These men and women work tirelessly to collect local taxes imposed by other government entities. • West Shore Bureau of Fire held its 19th annual banquet last weekend. We are fortunate to have such dedicated volunteers ready to help us in times of need. • Radle Electric held a ribbon cutting this week at its new office on Gettysburg Road across from the Lower Allen Municipal Building. This family- and veteran-owned business has been serving the community since 2005. • West Shore Plaza in Lemoyne held a free trick-or-treat night on Tuesday. Costume prizes were awarded. I was happy to attend, greet all the families and had a fun time. • Capitol Joe in downtown Mechanicsburg officially opened its beautifully restored back room at a ribbon-cutting ceremony. The room is perfect for client meetings, studying or relaxing. • Vraie Wellness Spa on Main Street in Mechanicsburg celebrated its opening several months ago by hosting a ribbon cutting this week. The business offers a variety of services for its clients.